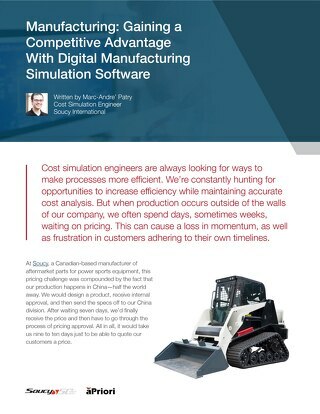 In a world where innovation is constant and unrelenting, manufacturing volumes are extremely high, supply chains stretch around the globe, and getting your products to market quickly is mission critical. 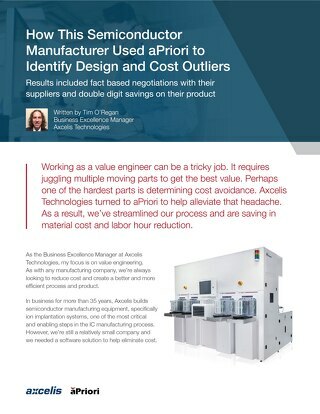 This case study explains how a global manufacturer of networking equipment, servers and switches took a multi-dimensional, enterprise approach to managing cost. 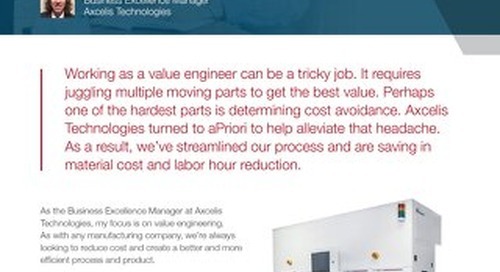 Cost engineers are always looking for ways to make processes more efficient while maintaining accurate cost analysis. 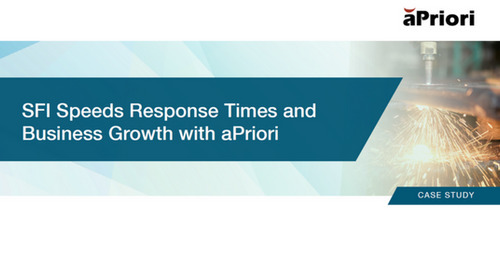 Read how Soucy Int'l did that with aPriori's product cost management software.